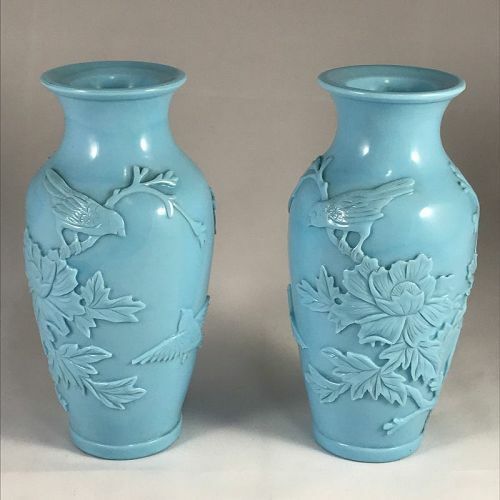 A pair of boldly carved pale blue peking glass vases. Birds in flowering branches. Good condition. Height, eight inches. Early 20th century, Republican era.